Arc System Works’ and Dojo Games’ unique fighter Slice, Dice & Rice is now out on Nintendo eShop. The game can be purchased at $17.99. Cut up your opponents and buddies in a fighting game without any health bars – where every scratch impairs your movement, and all wounds can be fatal. Check out the game’s trailer and description below. 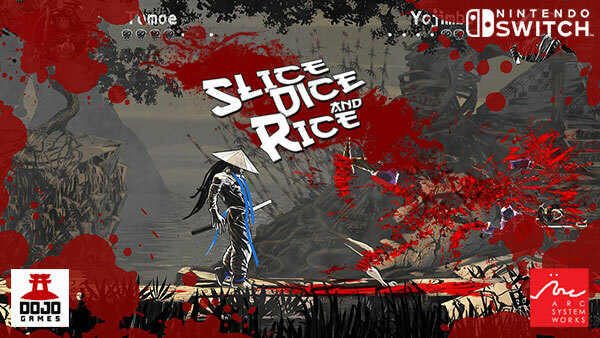 Torrance, California – September 6, 2018 – Arc System Works America, Inc. is pleased to announce that Slice, Dice & Rice, the fighting game without health bars, is now available on the Nintendo eShop for the Nintendo Switch! Put your skills to the test online in Network Mode.